I apologize for my long silence. Things have been a bit hectic while setting up my little company, so I haven't had enough time to work on my Xoco News section, but stay tuned as there are some very cool new projects on the chocolate front by various young entrepreneurs that I will be sharing with you soon! Would you fancy some pink chocolate? Beschle Chocolatier and star photographer Alexander Palacios have our artsy chocolate hearts beat faster with their newest Art Basel collaboration: P!NK UP YOUR LIFE! What does a gun, a mask, toys, flowers and chocolate have in common? They all have Alexander Palacios, who has gone on to present the hottest photography exhibition in town this summer. Starring Nala Diagouraga (Paris) and Enrique Liano (Seville) as models, the photographer displayed his stunning and controversial works as walking art during the prestigious fares art basel and volta. To accompany the show and make it even rosier, Alexander Palacios partnered up with Beschle Chocolatier to create a limited edition of sparkling pink chocolate! 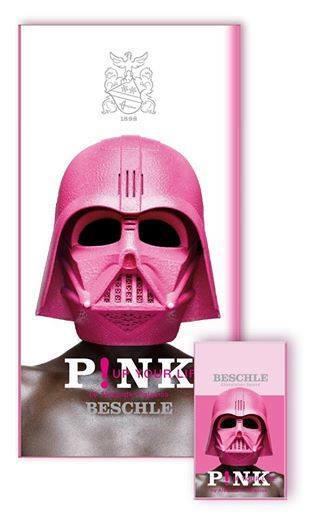 "Leave the dark side behind you and let chocolate and art P!NK UP YOUR LIFE!" is the slogan to this very pinky situation! With their sweet collaboration, Palacios and Beschle would like to proove once and for all that pink is not just a girly colour as most of us perceive it, instead it is a state of mind. It is the expression of a positive attitude, of joy, smiles, energy and self-irony. It is a statement which will pull us all out of our grey routine and bring us into a playful world of wonders. Yes! we are definitely loving the idea of some vie en rose to get rid of this rainy summer! Join us as we P!NK UP OUR LIVES with some art and a deliciously funky pink chocolate! To enjoy this funkylicious limited edition chocolate contact us at xocotours@gmail.com and we'll be more than happy to send you a little sweet taster. Hurry up though, it won't be around for long! Xoco News is a little blog which we will be updating sporadically with everything new in the world of chocolate! This month its la vie en rose with P!NK UP YOUR LIFE pink chocolate!